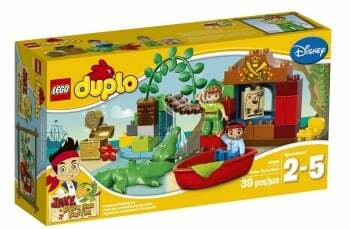 Amazon: 20% Off LEGO Duplo Sets - Today Only! Amazon: 20% Off LEGO Duplo Sets – Today Only! Here’s a chance to stock up on fun building sets for the kids. Head to Amazon.com where today only you can snag 20% off LEGO Duplo Sets! These are just a couple of the deals I spotted, be sure to head on over to see the complete offering. If you have a Jake and the Neverland Pirates fan in your life (like I do) then you may want to grab this LEGO DUPLO Jake Peter Pan’s Visit Building Toy for just $23.99 (Regularly $29.99) with FREE Super Saver Shipping! 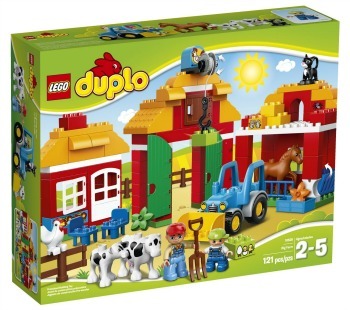 I also love this cute DUPLO LEGO Ville Big Farm for only $47.99 (Regularly $59.99) with FREE shipping! There are also building sets with planes, fire and rescue teams, Superman, a school bus, zoo animals and more.